Identify which class you would like your child to attend. Please fill out the Registration and Release Forms. Turn in both forms plus the tuition fee to the front desk. On an annual basis, the registration fee is $30 per family. The Fee will be dropped to $15 for any student who participates in a trial class. We offer all of our new customers a chance to try out a class before committing to signing up for a months tuition. In order to sign your child up for a FREE trial class, the parent or guardian needs to fill out the registration & liability form and return them to the office before we can schedule the trial. The trial will be in one of our scheduled trial classes. Once you have decided to sign your child up, then at their first practice they will be evaluated. Tuition is due at the time of signing up for a class. The trial class is also good for customers who already attend but would like to try out a new class we offer or a different type of class. Our classes fees are based on 4 weeks of class. If the month includes 5 weeks, then that week is a bonus week. The registration fee and class fee are due upon starting the class. The semester fee will be prorated for gymnasts enrolling after the first week of the semester. If tuition is not paid by the 10th of the month, a late fee of $15 will be assessed. Stick It! Gymnastics offers a variety of payment options, MASTERCARD, VISA, bank draft, check or cash. Please make checks payable to Stick It! 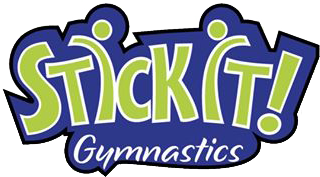 Gymnastics, LLC. Please be certain to put gymnast’s name and class time on each check. A service charge of $25 will be assessed for each returned check. Also please note we DO NOT keep cash in office for change. We will put a credit on your account. If your child was dropped from class due to lack of attendance and/or no tuition payment made, a re-enrollment fee will be assessed. Additionally, if you drop class for more than two months, you will need to pay an re-enrollment fee upon re-enrolling. Stick It! is proud to support our troops by offering a military discount for family members of our nation’s military, active or retired as well as to our first responders. Additionally, Stick It! offers discounts for each additional family members enrolled.